If you want to take an ETS to Hatyai Junction in Thailand, currently you have to take two separate services. One to Padang Besar Railway Station (located just inside Malaysia on the border with Thailand). From Pdg. Besar, you then connect to a Shuttle Train to Hat Yai. 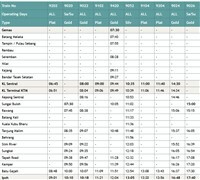 The fast Electric Train Services (ETS) currently operate from as far south as Gemas, travelling north and stopping at popular destinations such as Tampin (for Melaka), Bandar Tasik Selatan (for TBS Bus Station), Kuala Lumpur (KL Sentral and old KTM station), Ipoh, Taiping, Sungai Petani, Alor Setar / Arau (for Langkawi) and many other stations in between. If you want to travel from Penang Island to Hat Yai, there are no longer any ETS services on this route, as they have been replaced by the cheaper and much more frequent KTM Komuter trains. Once you arrive by ETS train in Padang Besar Railway Station, you have a choice of how to continue the relatively short 55 km journey to Hat Yai. If you want to continue your journey by train, you can take one of two SRT (State Railway of Thailand) Shuttle trains that leave from Padang Besar to Hat Yai Junction, taking 55 minutes to make the trip (ticket price 50 Thai Baht). If you decide to take the train, you will have to go through the immigration process at the station. Immigration only opens when the train arrives from Hat Yai, so if there are a lot of people either arriving or departing, the train can often be delayed as it waits for all passengers to clear immigration. Often, if you arrive by ETS at Padang Besar, you will have quite a long wait for the Shuttle train, so you may want to take alternative transport to get to Hat Yai. 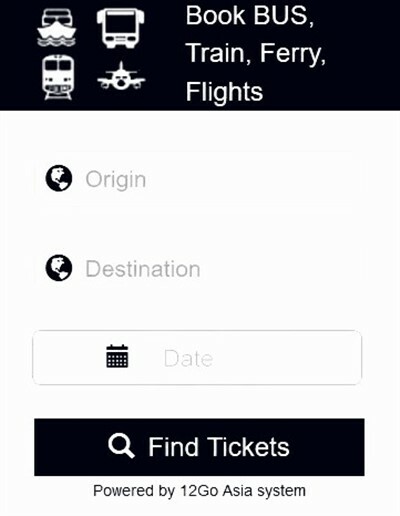 The first thing you have to do is leave the train station. Walk upstairs to the next floor, then take the pedestrian bridge that crosses over the railway tracks. When crossing the bridge, you will see the main Padang Besar land border crossing just to your left. Or taking a taxi (taxi drivers will be waiting at the bottom of the pedestrian bridge from the station).